Following his spectacular debut release on Traum "The Insect Parade" in January 2014, Nick Dow has now written 3 new tracks that form this upcoming EP. The EP starts with the title track "Armour Plated". What you see is not what you get one could say when Nick Dow kicks off with a classic techno sequence techno icon Richie Hawtin could have written for Plus 8 when step by step the track converts itself into another one of Nick Dow’s enigmatic pieces of melodic techno. "Armour Plated" seems to be molded out of one piece. There is an overall movement in this track which is organic, complex and yet still stunningly simple to grasp. Nathan Fake was often referred to in the past to have the ability to write this kind of music… and now it seems to be that Scottish Nick Dow chucks out complexity in hymn like formats like few others can. 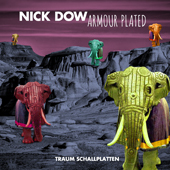 These uncountable euphoric moments Nick Dow manages to come up with, make "Armour Plated" an electronic roller coaster of a song. It can throw you in different directions all at the same time while in the background the most beautiful things happen. Shaping a fascinating antagonisms seems to come natural to Nick Dow. It's the end of "wanderlust" and the beginning of "herzenslust" for Nick Dow. Keep your armor plated. "Goujian" starts like a Cabaret Voltaire track from 1984… a silent breed of noise… when with a twist it catapults itself into another hemisphere of noise, deconstruction, glitches, cut up sounds. An eruption of sound, building like a tidal wave, with hundreds of vertical spiral shaped oxygen pillars to support it for the time of being… this track is rocker in a big way and the answer for everyone who wants to really freak out on the dance floor again. Something we really look forward to witness! 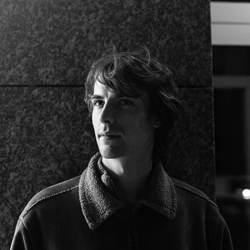 "Before The Feast" starts as slack tune and mighty groover but step by step skillfully layers melodies and sounds and takes them away to create a nice deep emotional pice of music with ups and downs and a sheer elevating beauty that enters the track from time to time, putting him next to Max Cooper’s music on Traum.